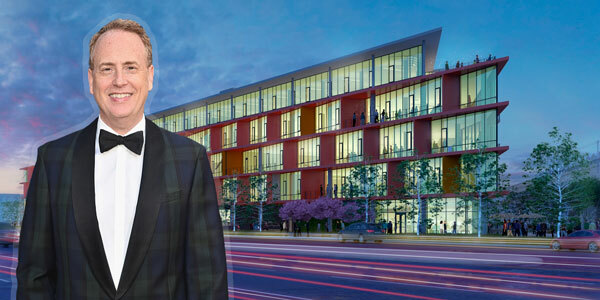 UPDATED, April 3, 12:51 p.m.: HBO has closed on its lease for the entire office portion of the mixed-use Ivy Station complex in Culver City, The Real Deal has learned. The network will take 240,000 square feet at the $350 million under-construction project, according to sources familiar with the deal. In December, TRD reported that HBO was close to signing a deal for 200,000 square feet. The premium cable TV network will be relocating from the Colorado Center in Santa Monica. One source said the deal was delayed because of AT&T’s acquisition of TimeWarner, which was completed in June but only cleared by the U.S. Court of Appeals in late February. HBO is now a division of WarnerMedia. Also in late February, Richard Plepler announced he was stepping down as CEO of HBO after 27 years. Former NBC Entertainment chairman Robert Greenblatt has been tapped to lead HBO, Turner, and WarnerMedia’s planned direct-to-consumer service. Representatives for HBO and Lowe did not respond to immediate requests for comment regarding the Ivy Station deal. Designed by Killefer Flammang Architects and EYRC, Ivy Station will include 200 apartments, a 148-room hotel, shops and restaurants, in addition to office space. A joint venture between Lowe, AECOM-Canyon Partners and Rockwood Capital is developing the project. HBO, which is behind fan-favorites like “Game of Thrones” and “Insecure,” is the latest media firm to relocate to Culver City, attracting streaming competitors like Apple and Amazon.